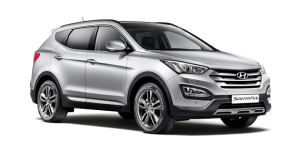 Hyundai, the South Korean car maker founded in 1967, with the help of innovative technology quickly rose to the top and is today the fifth largest car manufacturer in the world. And even though it is part of the Australian community and is No.1 choice for many, certain models are repaired prone. Having a long history in car servicing and mechanical repairs, we at The Automotive Experts highly advise proper maintenance and regular Hyundai service which will surely prolong the life of your vehicle and prevent major and costly repairs. But sometimes even the best of care does not guarantee your Hyundai will not have some minor or major problems. So, let’s go over the problematic models and the most common repair problems that will give you heads up the next time your Hyundai does not deliver perfection. For example, the 2008 Hyundai Accent has the most reported complains about worn down the clutch, the 2011 Tucson for poor gas mileage, the 2013 Sonata for steering problems and the 2011 Santa Fe for various engine problems. 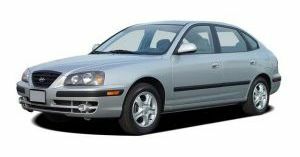 However, the most complained about the model is the Hyundai Elantra, specifically vehicles manufactured in 2006 and 2013. Owners of the 2006 Elantra mostly complained about the car stalling when driving. There are many factors that can cause stalling of the engine, usually related to the electrics or the fuel system. You may need to replace the canister assembly and /or purge the control valve or your car may need a new battery and speedometer assembly. Even though this is a common car problem, it can be very dangerous. The risk of being rear-ended on the street cannot be compared to the safety risks of your engine stalling on the highway as a driver behind you simply cannot foresee that your car may suddenly and without any warnings come to a complete stop. And while engine stalling can easily be fixed, it is best to bring your Hyundai to a mechanic shop as cars these days rely mostly on computers. Our shops have the latest equipment and skilled technicians that will in a matter of hours identify the problem and supply you with a detailed report and possible solutions. Owners of the 2013 Hyundai Elantra experienced most problems with brakes. To be more specific, brakes making a grinding noise. Since brakes are important safety component, the safety of the vehicle and all of its occupants should never be left to chances and is directly related to the condition of the car. Hence, it is important to conduct a regular Hyundai service in order to be able to detect and sanitize the problem in time. Whether your Hyundai needs resurfacing or replacing brake rotors or brake pads, our technicians can do it all and at an affordable price, you’ll never think of repairing on your own. Visit us or contact our customer service representative and entrust any Hyundai service or repairs to The Automotive Experts certified technicians as we have the means and experience to deliver quality repair, small or major.